create it, even those who have just opened Photoshop for the first time. minutes, then check out my Energy Photoshop Action. Now go to Layer > New > Layer to create a new layer and name it Temp. Change the Blending Mode of this layer to Darken and press Control-J on your keyboard to duplicate this layer. Then, go to Edit > Transform > Flip Horizontal and then to Edit > Transform Flip Vertical to flip this layer both horizontally and vertically. Now Shift-click on the Temp layer to select all layers between and press Control-E on your keyboard to merge them into one layer. Then, press Control-J to duplicate this layer. Press Control-I on your keyboard to invert this layer. Then, press D to reset the swatches and go to Filter > Render > Difference Clouds. 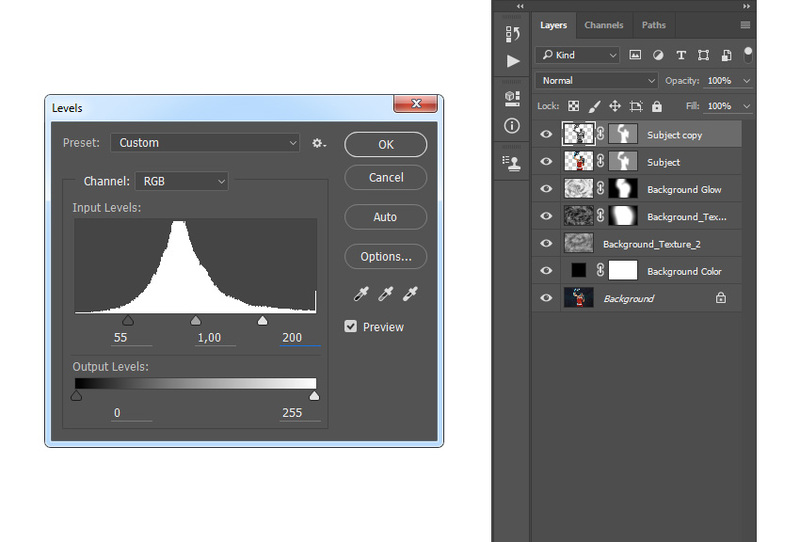 Change the Blending Mode of this layer to Multiply. Then, Control-click on the Temp copy 2 layer to select both layers at the same time and press Control-E on your keyboard to merge them into one layer. Now go to Layer > Layer Mask > Hide All to add a layer mask that hides the whole layer. Then, set the foreground color to #ffffff, choose the Brush Tool (B), pick a soft brush, and brush where you want texture to appear. Feel free to change the Hardness of the brush. Name this layer Background_Texture_1. 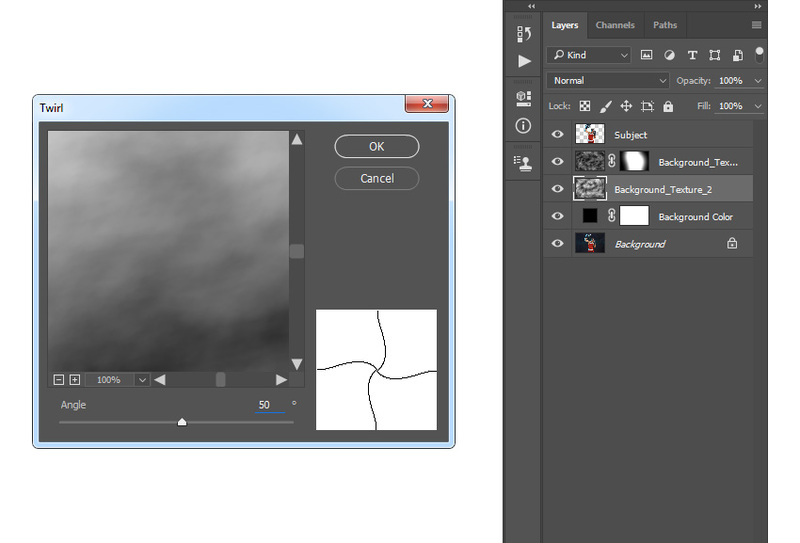 Then, select the Background Color layer, go to Layer > New > Layer to create a new layer, and name it Background_Texture_2. Press D on your keyboard to reset the swatches, and go to Filter > Render > Clouds. Now change the Opacity of this layer to 10%. Select the Background_Texture_1 layer, go to Layer > New > Layer to create a new layer, and name it Temp. Press Control-J on your keyboard to duplicate this layer. Then, go to Filter > Distort > Twirl and set the Angle to 50°. 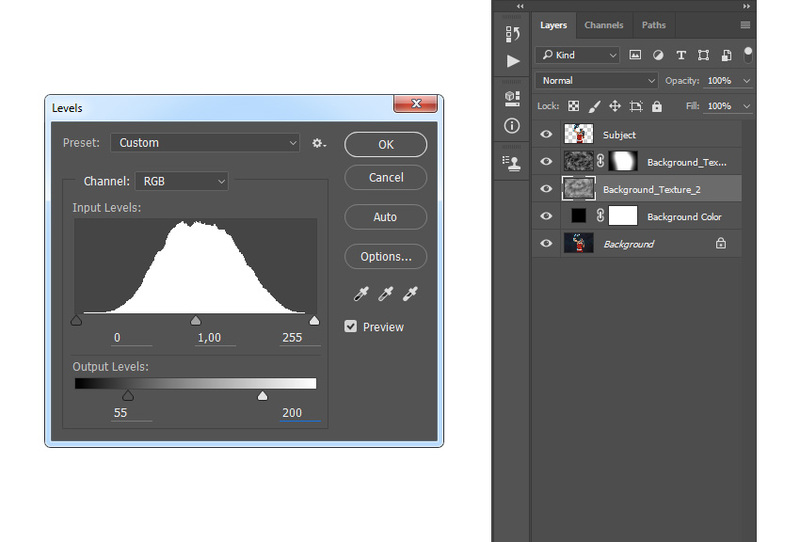 Now change the Blending Mode of this layer to Screen. Then, Control-click on the Temp copy 2 layer to select both layers at the same time and press Control-E on your keyboard to merge them into one layer. Change the Blending Mode of this layer to Screen and set the Opacity to 50%. Then, name this layer Background Glow. Press Control-J on your keyboard to duplicate this layer. 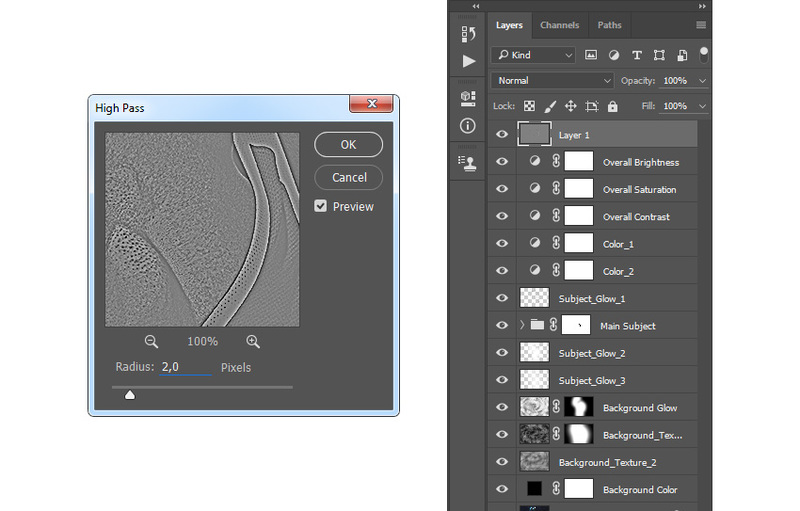 Then, press Control-Shift-U to desaturate this layer, go to Filter > Other > High Pass, and set the Radius to 30 px. 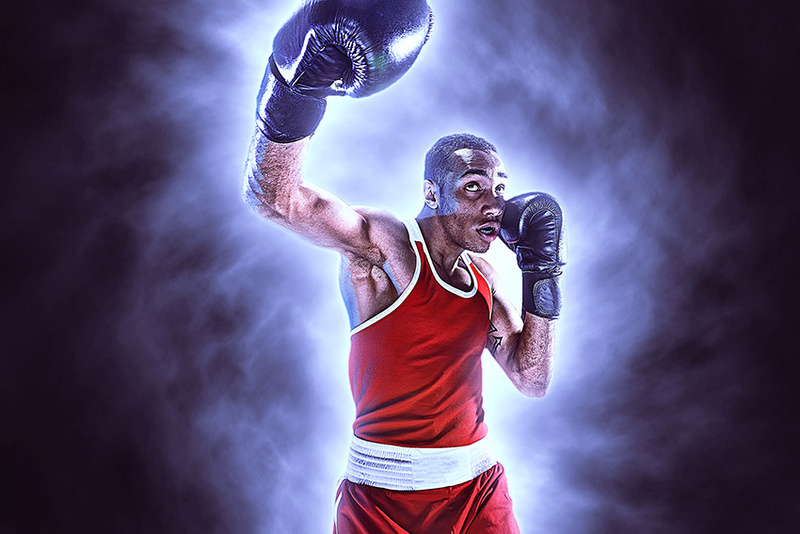 Change the Blending Mode of this layer to Overlay and set the Opacity to 50%. Then, name this layer Subject Details. Control-click on the Subject layer to select both layers at the same time. Then, go to Layer > New > Group from Layers to create a new group from the selected layers and name it Main Subject. 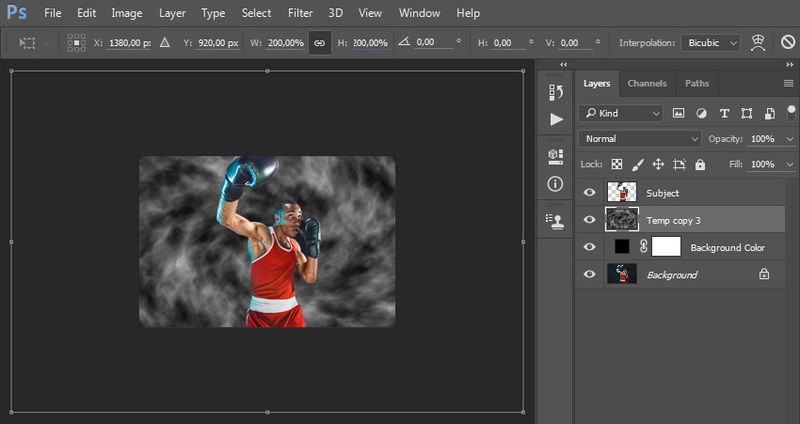 Now go to Layer > Layer Mask > Reveal All to add a layer mask that reveals the whole layer group. Then, set the foreground color to #000000, choose the Brush Tool (B), pick a soft brush, and brush over the areas that are left from the background. In this section we are going to create the subject glow. Control-click on the Subject layer thumbnail to make a selection of this layer. Then, Control-Alt-Shift-click on the layer mask of the Main Subject layer group to intersect the selection. After that, go to Select > Modify > Contract and set Contract By to 10 px. Now press Control-Shift-I on your keyboard to invert the selection. Then, Control-Alt-Shift-click on the Subject layer thumbnail to intersect the selection. 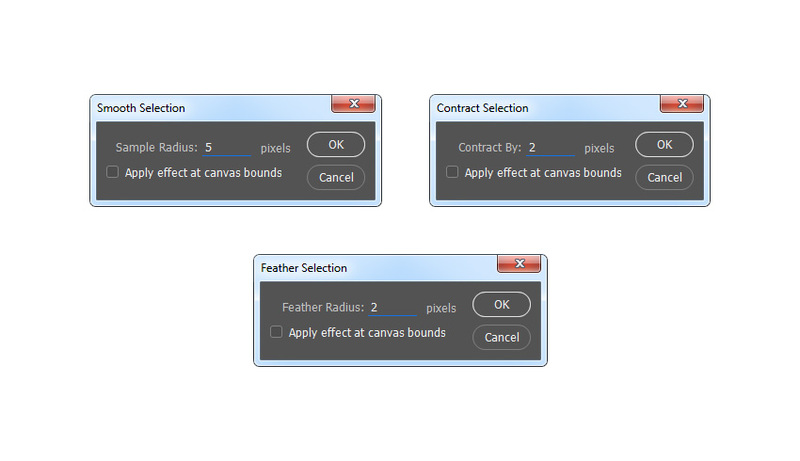 After that, Control-Alt-Shift-click on the layer mask of the Main Subject layer group to intersect the selection again. 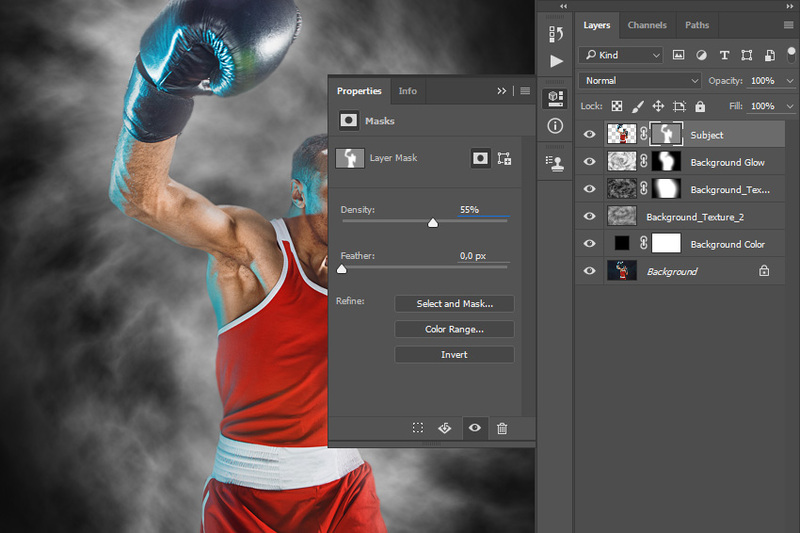 Select the Background layer and press Control-J on your keyboard to create a new layer using the selection. Then, drag this layer to the top of the layers in the Layers panel. 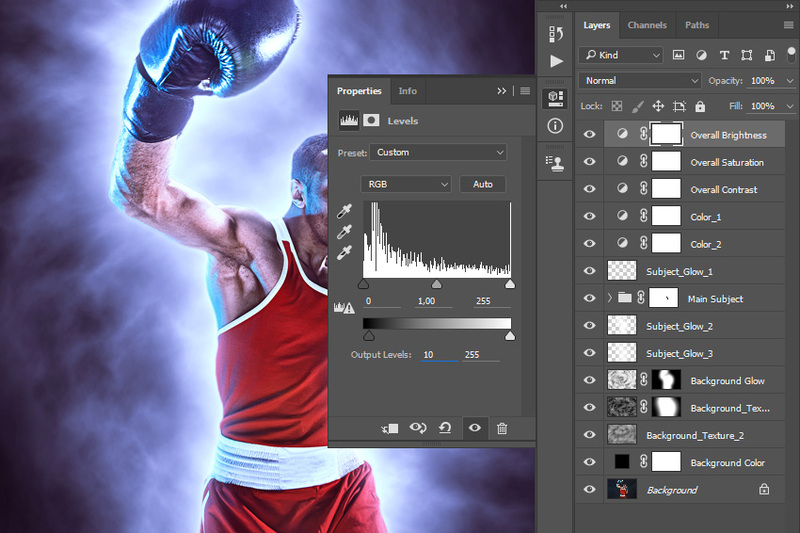 Change the Blending Mode of this layer to Linear Dodge (Add) and set the Opacity to 70%. Then, name this layer Subject_Glow_1. Now Control-click on the Subject layer thumbnail to make a selection of this layer. 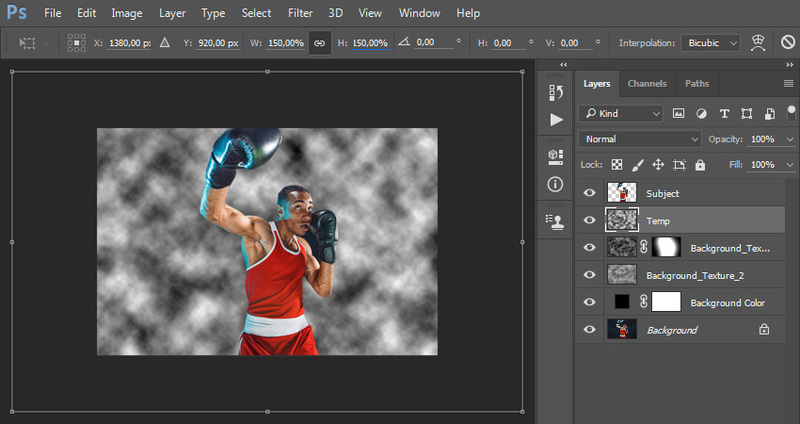 Then, Control-Alt-Shift-click on the layer mask of the Main Subject layer to intersect the selection. After that, go to Layer > New > Layer to create a new layer and name it Temp. Set foreground color to #ffffff. Then, go to Edit > Fill and set Contents to Foreground Color, Mode to Normal, and Opacity to 100%. Now press Control-D on your keyboard to deselect. 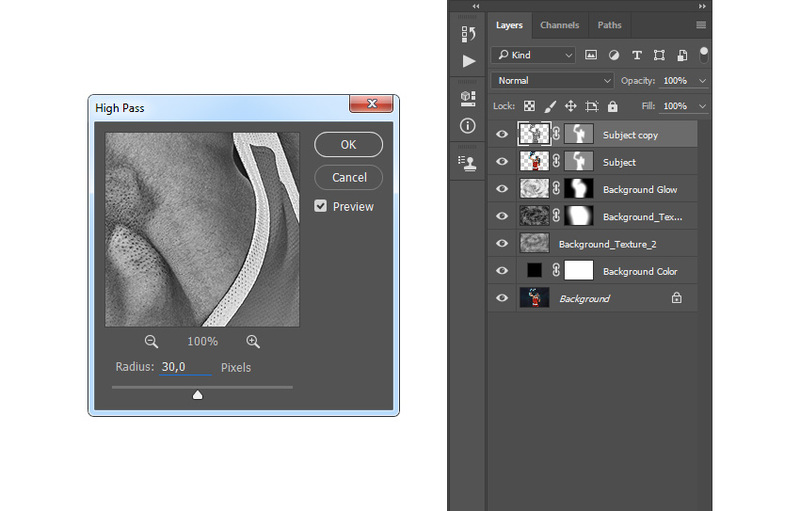 Then, press Control-J to duplicate this layer. After that, go to Filter > Blur > Gaussian Blur and set the Radius to 100 px. Name this layer Subject_Glow_2 and drag it just below the Main Subject layers group in the Layers panel. 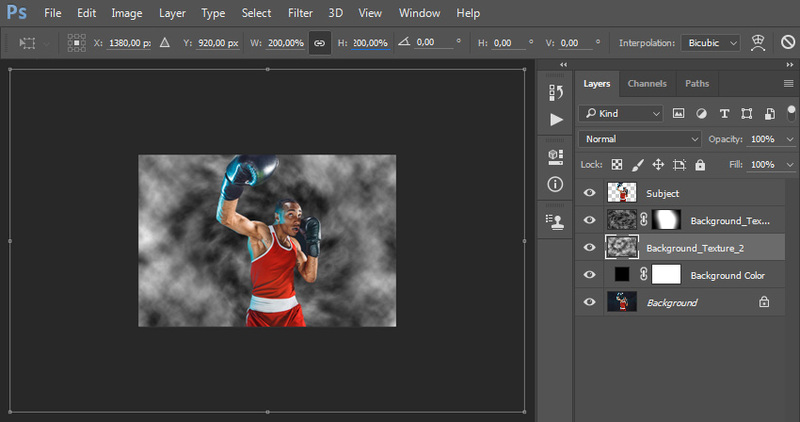 Now select the Temp layer, go to Filter > Blur > Gaussian Blur, and set the Radius to 100 px. Name this layer Subject_Glow_3 and drag it just below the Subject_Glow_2 layer in the Layers panel. In this section we are going to make final adjustments to the design. Select the Subject_Glow_1 layer, go to Layer > New Adjustment Layer > Color Balance to create a new color balance adjustment layer and name it Color_1. 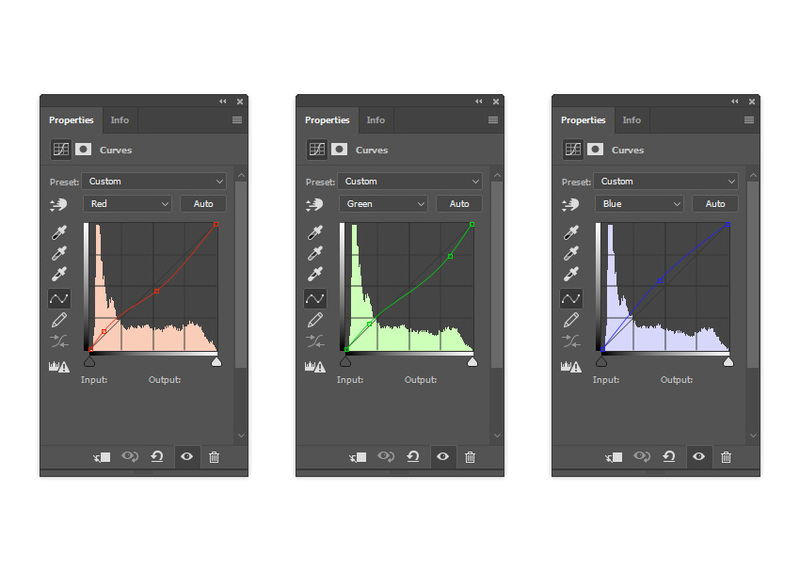 Go to Layer > New Adjustment Layer > Curves to create a new curves adjustment layer and name it Color_2. 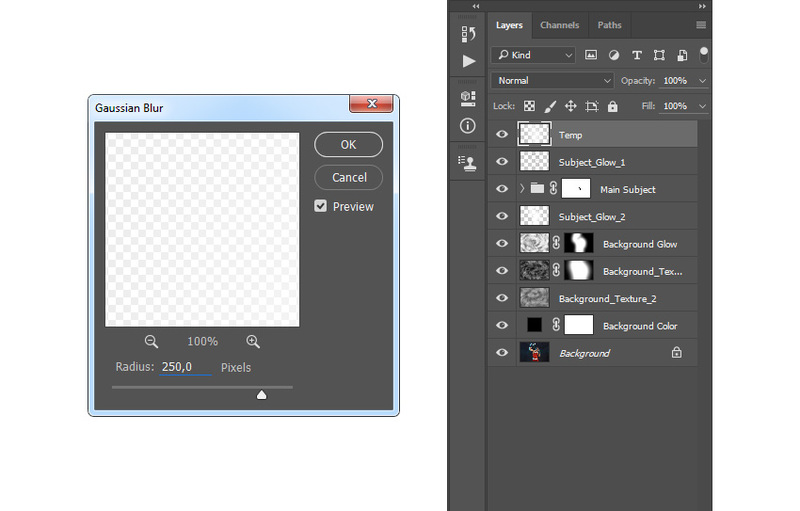 Then, drag this layer just below the Color_1 layer in the Layers panel. Press D on your keyboard to reset the swatches. Then, go to Layer > New Adjustment Layer > Gradient Map to create a new gradient map adjustment layer and name it Overall Contrast. 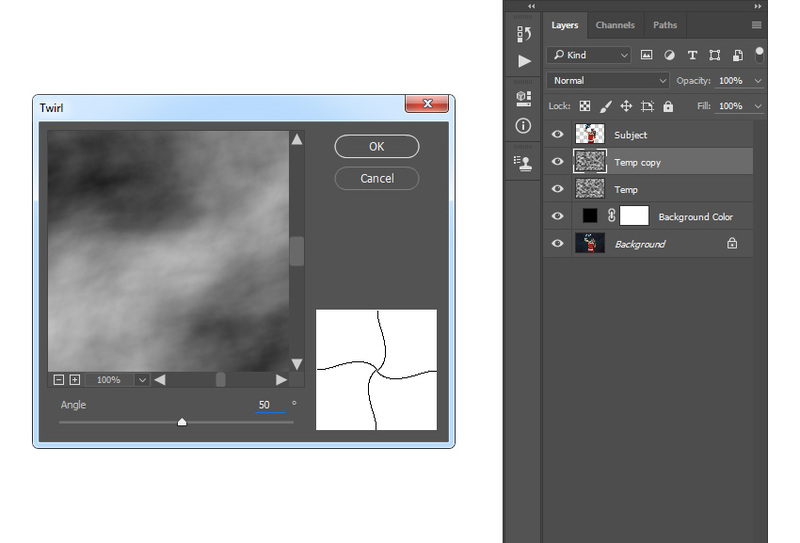 After that, drag this layer to the top of the Layers panel. 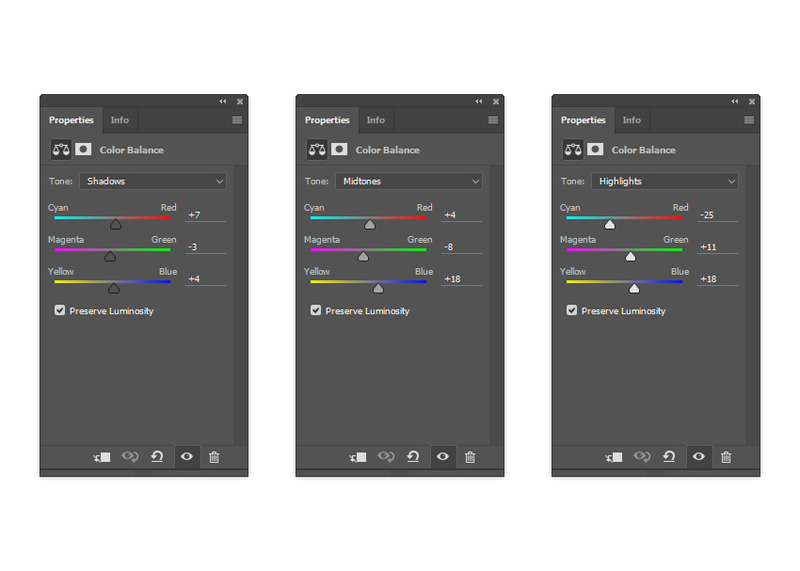 Select the Subject layer, go to Layer > New Adjustment Layer > Hue/Saturation to create a new hue/saturation adjustment layer and name it Subject_Color_Correction. 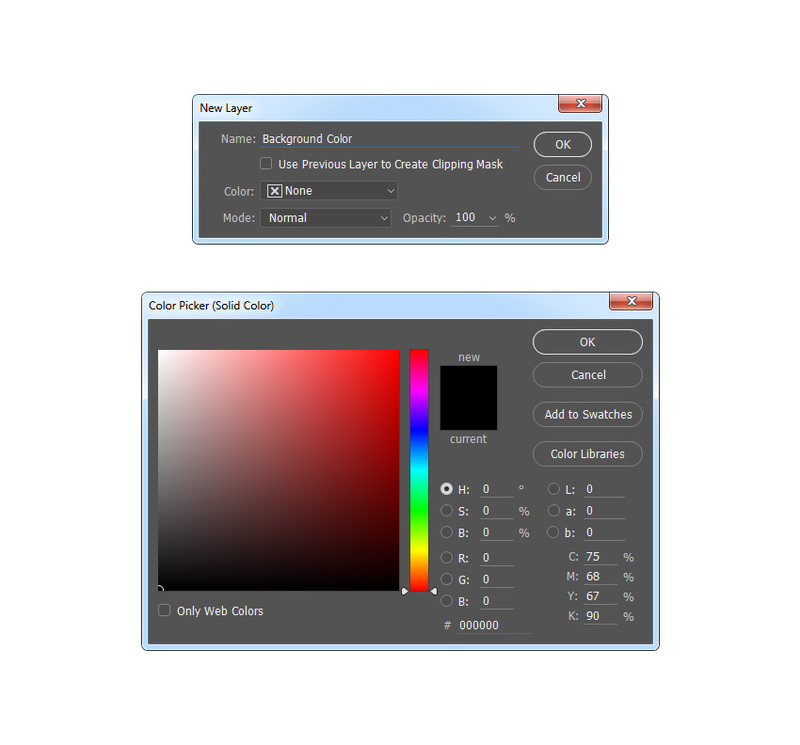 Select the Overall Brightness layer, press Control-Alt-Shift-E on your keyboard to make a screenshot, and then press Control-Shift-U to desaturate this layer. 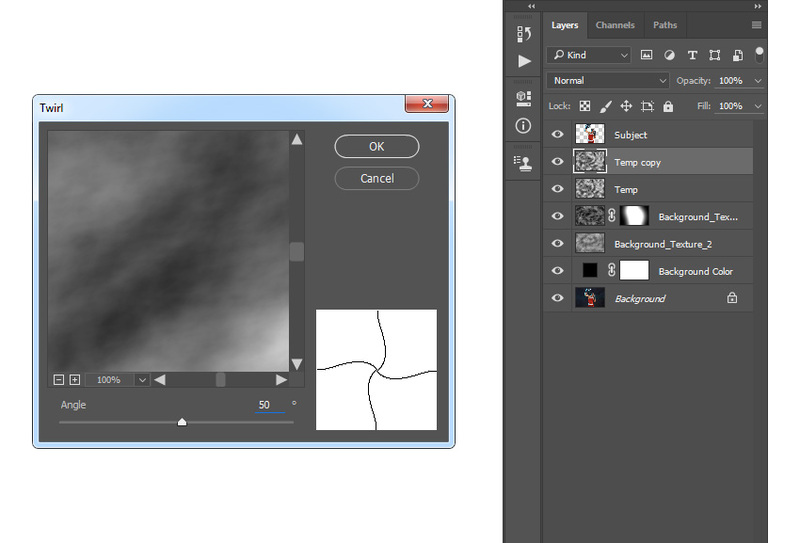 Then, go to Filter > Other > High Pass and set the Radius to 2 px. Name this layer Overall Sharpening and change the Blending Mode of this layer to Vivid Light. action that you can use to build the designs even further. Our First Overnight Flight, San Antonio!